Acupuncture is an ancient healing practice involving the insertion of needles into specific locations on the body in order to regulate the flow of Qi, or life energy. 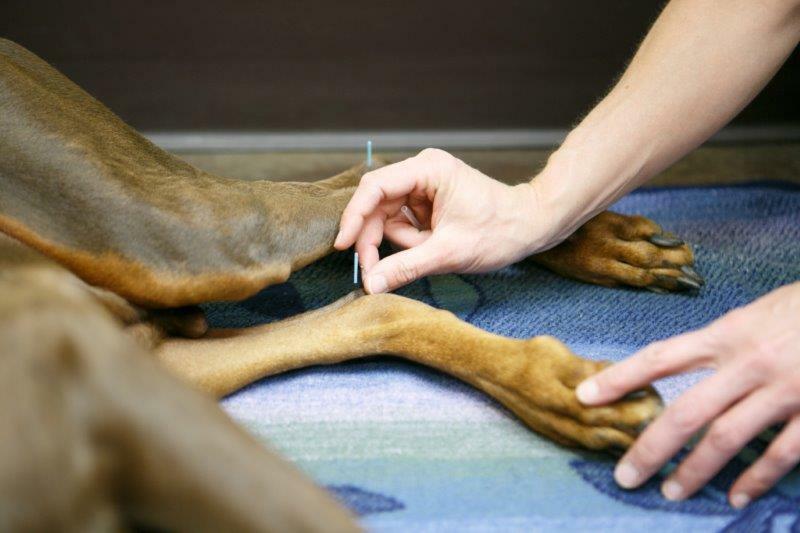 Acupuncture is practiced at Alpine Animal Hospital in conjunction with traditional western medicine in order to provide companion animals the healthiest and highest quality of life possible. Acupuncture can be used to treat a variety of conditions, including acute and chronic pain (arthritis, joint pain, back pain, injury, over-use), neurological disorders, asthma, gastrointestinal issues (nausea, vomiting, diarrhea, weight/muscle loss), and stress/behavioral issues (anxiety). Acupuncture can be, and is most often used in conjunction with typical Western medications. 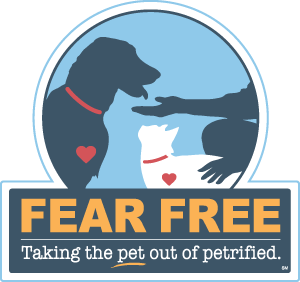 It is a great option for elderly or compromised pets who cannot tolerate traditional pain medications or require them in potentially dangerous amounts. It can also be used post-operatively to alleviate pain and stimulate healing. One of the biggest benefits to acupuncture is that there are virtually no side-effects and no interference with western therapies or medications. 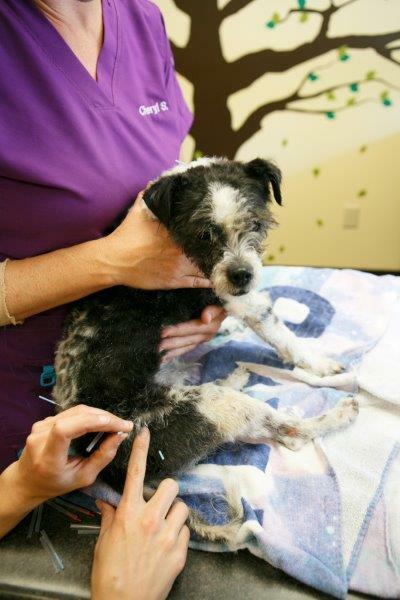 Typically acupuncture is administered weekly for 3 to 5 sessions. Gradually the frequency of treatments is decreased to an “as needed” basis. It is well tolerated by the majority of the population.